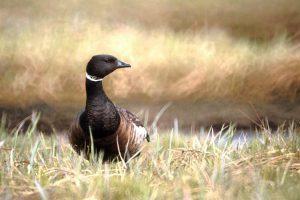 Brant goose in the Western Arctic. Photo by Tim Bowman. The Trump administration intends to undermine protections to public lands vital to wildlife and the health of the Arctic by opening them to drilling, pipelines and roads. The administration’s latest move would open protected areas of the Western Arctic, including Teshekpuk Lake, the largest lake in Alaska’s Arctic. It intends to open this protected area by developing a new Integrated Activity Plan, or IAP, for the National Petroleum Reserve–Alaska. The administration’s goal is to use the IAP to undo protections to areas deemed vital to wilderness and wildlife. The IAP is a management plan that lays out the U.S. Bureau of Land Management’s guidelines for the roughly 23-million acre NPR-A, including decisions on which lands will be protected and which could opened to oil and gas leasing, exploration, and development. By opposing development, you will help protect globally significant wetlands, millions of animals, and communities most impacted by sea ice loss, rising seas, erosion, and severe storms caused by climate change. Read on to find out what’s at stake and how to participate in public hearings. UPDATE: The hearing dates for the comment period have been updated below. BLM has extended the deadline from Jan. 7 to Jan. 22, 2019. The 22.8 million acre Western Arctic, includes important nesting habitat for migratory birds. BLM photo by Bob Wick. The Western Arctic, or NPR-A, provides vital habitat for millions of animals, including geese, waterfowl, caribou, and polar bears, which in turn support the health of the entire Arctic region. Many Alaskans rely on these animals for their food and culture. The IAP the administration intends to replace includes protections for five key Special Areas — Teshekpuk Lake, the Colville River, the Utukok River Uplands, Kasegaluk Lagoon, and Peard Bay. It was finalized in 2013 after an extensive public process and assessment of science. Opening areas such as Teshekpuk Lake would imperil animals, people and an entire interconnected Arctic region for the sole purpose of serving the profit interests of Outside corporations. The Interior’s Joe Balash said as much when responding to a reporter last week. A common industry talking point is that “new technology” makes extraction work compatible with healthy environments, but science and traditional knowledge say otherwise. 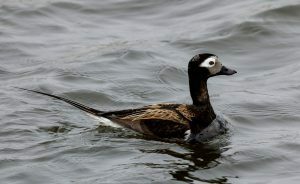 Long-tail duck in the Western Arctic. Photo by Bob Wick. This latest attack on America’s Arctic comes after a non-stop assault on any and all areas currently protected for the health of wildlife and the communities that rely on fish, game and wilderness for their food and culture. In addition to the IAP, the administration is also moving forward with plans to hold a lease sale in the Arctic National Wildlife Refuge next summer. 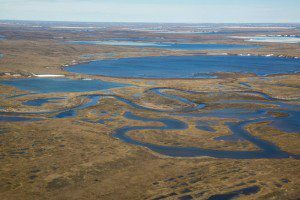 It has also begun agency processes to allow intrusive and damaging seismic exploration in the Arctic Refuge this winter, as well as for a lease sale in the Beaufort Sea. Last week’s BLM notice initiating a new IAP for the NPR-A only added to the onslaught. The administration—filled with industry-backed appointees—wants to sell the Arctic to private corporations that will exploit it for profit without regard to the people and wildlife that depend on it. A national report already tells us that Native Alaskans and rural Alaskans bear the brunt and physical, social, cultural and economic costs of climate change. Increasing the extraction and burning of fossil fuels will only do more harm to remote Alaska communities and the state’s long-term health. 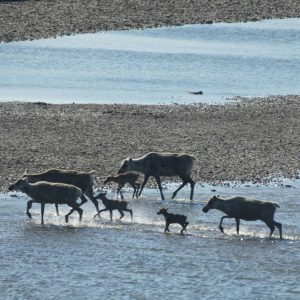 The administration has stated that it wants to push through a new IAP in one year, regardless of the complexity of the area’s interconnected lands and waterways, the science, the public interest, and the many impacts development would have to the health of wildlife, Alaska communities, and the region as a whole. Opening the Arctic to private development matters more to this administration than getting it right and protecting Alaska for generations to come. The public comment period for the current scoping process for developing a new IAP will end Jan. 7, 2019—an extremely rushed deadline given the holidays and logistics of winter travel in Alaska, particularly after a major earthquake. Many Alaskans and organizations have requested an extension of the comment period to make sure scientists, tribal organizations, and other stakeholders, including the public, have time to do due diligence before submitting comments. But you can speak up for the Arctic now. You can tell BLM to keep currently protected areas in the Reserve protected. You can talk about the importance of wildlife, wilderness, and reducing the extraction and burning of fossil fuels to address the changing climate. Caribou in the Western Arctic. Photo by Bob Childers. Let BLM know that they must look at how development activity in the Western Arctic has accelerated, how multiple projects threaten wildlife and communities, and how intensified activities in one area of the Arctic threaten the entire Arctic. Many new oil and gas development projects in the Western Arctic put wildlife and biological health at risk. 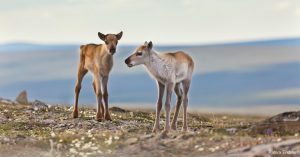 The ConocoPhillips’ Willow project is a massive new oil and gas development proposed to extend existing development into the Teshekpuk Lake Special Area—one of the most critical wetland areas in the Arctic and a calving ground for the Teshekpuk Lake caribou herd. The administration has its sights set on opening additional areas in Teshekpuk Lake to oil and gas activities through this new IAP, further expanding this spider web of development into some of the most sensitive areas of the NPR-A. The cumulative impacts of multiple projects within a landscape of interconnected lands, waterways, and migration routes can do immeasurable harm to wildlife and the communities that depend on them. New meeting dates will be announced on BLM’s e-Planning website, which can be accessed here.